We have to stay relevant if we want to be successful and build a great firm. We have to make sure we add more value. We have to do more that anybody else. We have to focus on the customer, what they want, what they value and do more of that. If all we ever do is the compliance, the data entry, the data crunching, then we will be in trouble. We need to see what else we can do. How can we add value to our customer? Remember, it’s not about winning every customer - you just need to win the right customers. Those customers will appreciate it when you add more value. They will buy more from you and pay higher prices. We need to change our positioning. The language we use and the way we communicate what we do is important. One of the problems with bookkeeping is it has a low perception of value - people don’t see it as a valuable service. My advice is, if you are a bookkeeper, change the language you use. Come up with a different name for both you and for bookkeeping. If you are a firm of accountants or CPA, don’t call it bookkeeping, come up with something better. We need to become better at telling people what it is we do for them. Your clients have no idea what you do. They are not trained in the profession like we are. They may have a vague idea, but they probably don’t really know what you do, and more importantly, they don’t know why you do it. Create a system for telling your clients what you do so that you can consistently convey your value to every single existing or potential client. 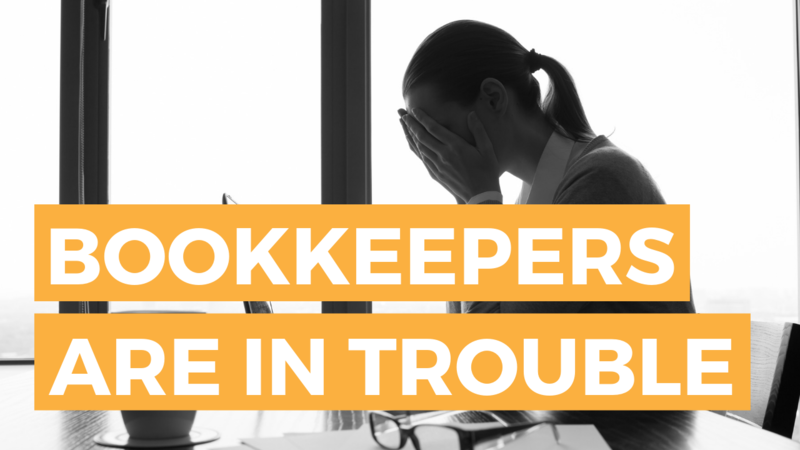 Don’t simply say “We do bookkeeping”, because clients don’t see that as being valuable. Change the way you say it “We do bookkeeping, let me explain the process that we go through”. I know that as part of bookkeeping there are dozens of process that you go through. You reconcile a bank account you post the bank payments, the bank transactions, you reconcile the sales ledger, you reconcile the sales tax, the pay roll. Give your clients some options. Everyone values things differently. You will have some clients who will be willing to pay you higher prices, but if you don’t give them the option of a premium package, you can’t earn premium package fess. Always give the client choices. I’ve just written an ebook called ‘How To Price Bookkeeping’. If you want to grab a copy of that then you can click here. 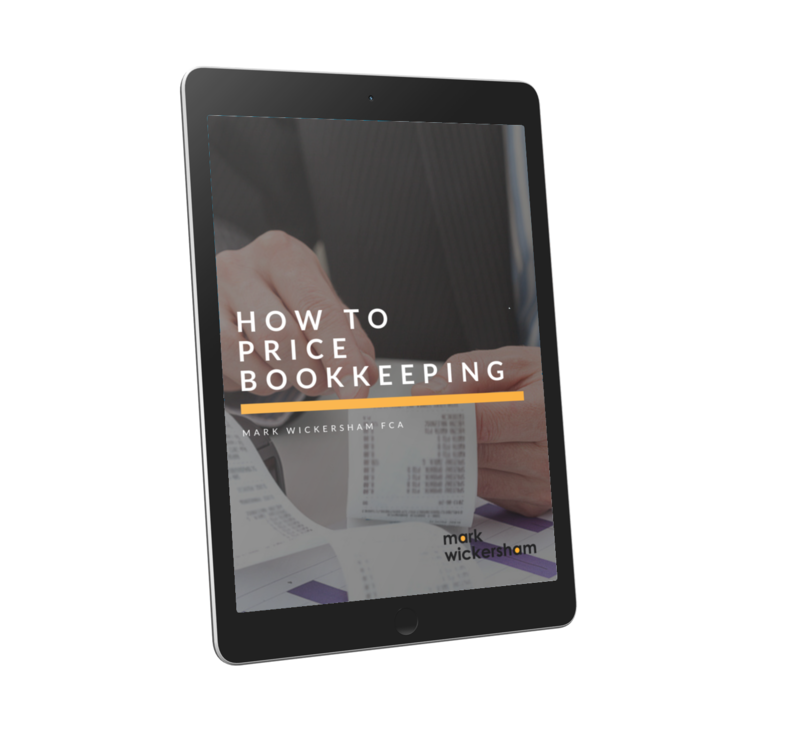 In this ebook I’ll take you through the 5 steps that you can work through to get better prices from bookkeeping. You can turn it into a much more profitable service and make much more money. Start your journey to pricing more effectively and with confidence. “Needed to celebrate a little today. I’m sure I still did everything COMPLETELY wrong, but baby steps. I JUST SIGNED A $19K CLIENT!! I had the original fact find interview on Tuesday, and delivered my proposal & price today. He took PREMIUM! When you have downloaded your free copy of the ebook, watch out for some email where I’ll be telling you about my webinar, which goes into even more detail on how to price your bookkeeping services.